As a rule I design two types of printable games to help my students consolidate the topic vocabulary: dominoes and bingo. I have already published the first batch of my clothes and accessories domino cards for English teachers to use for their classes too. 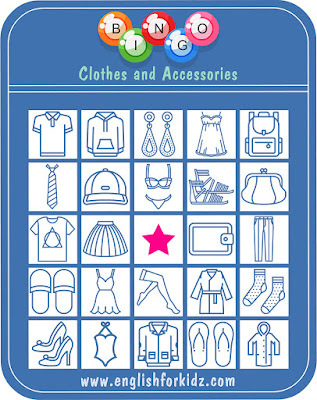 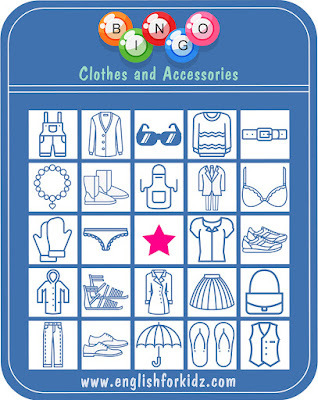 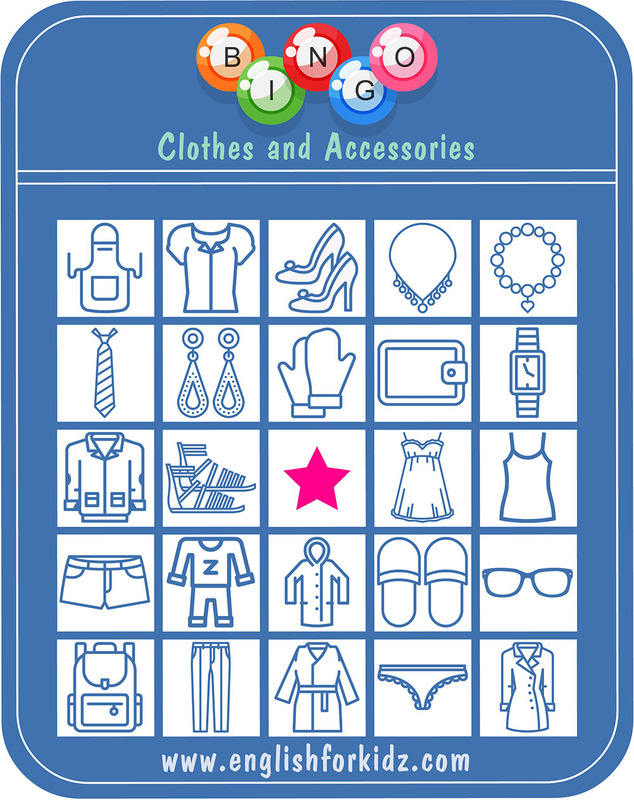 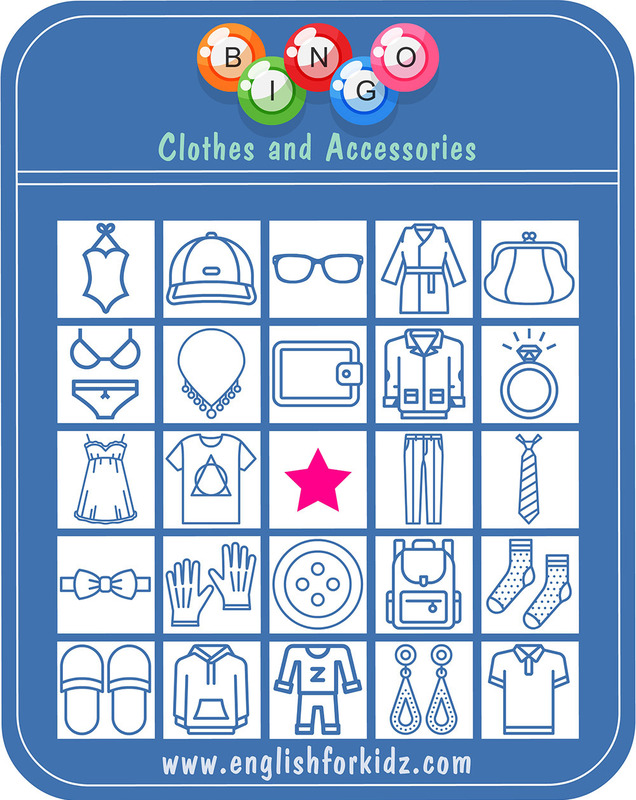 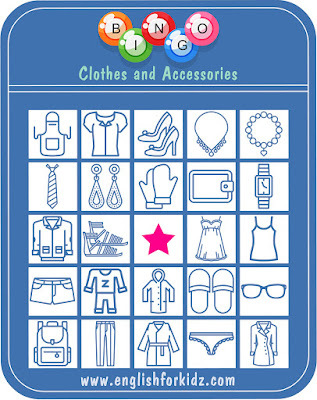 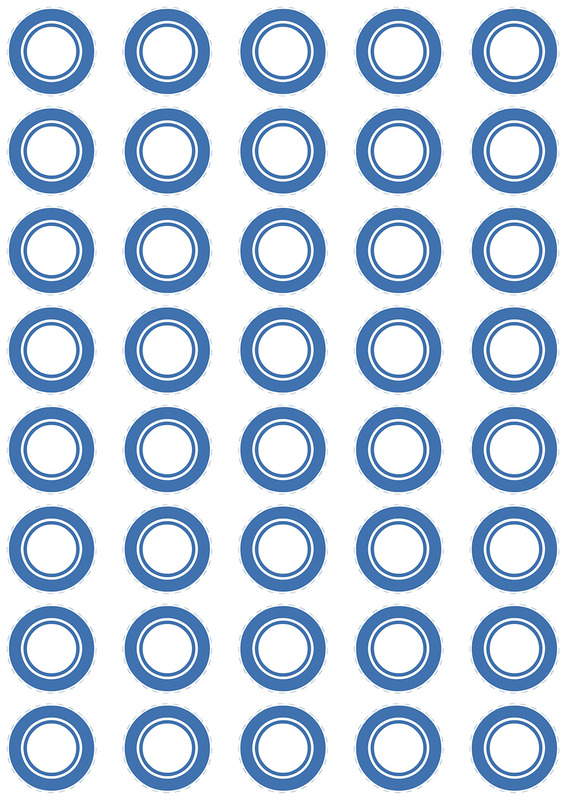 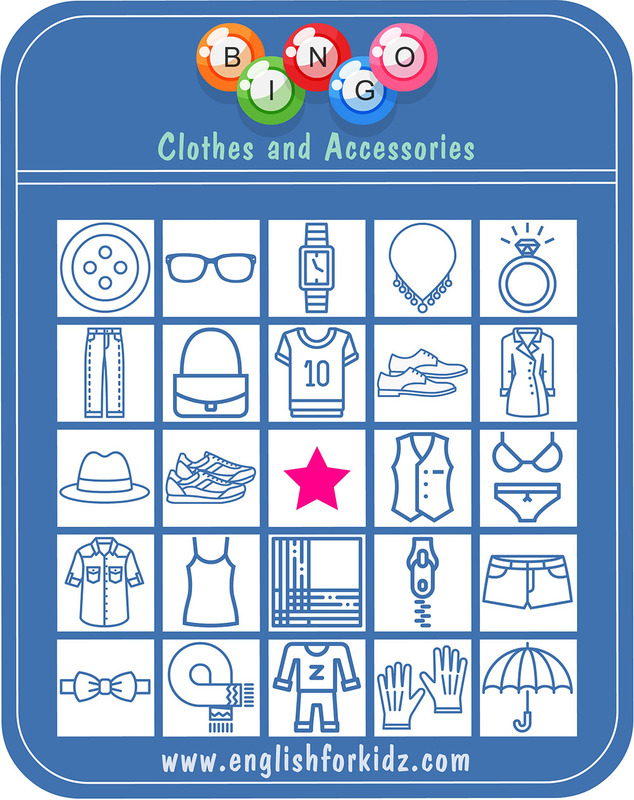 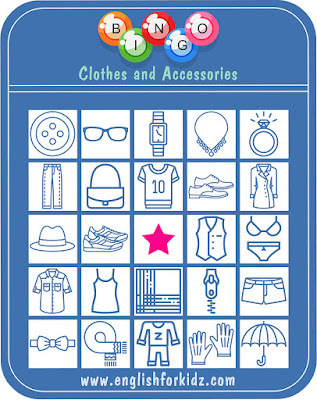 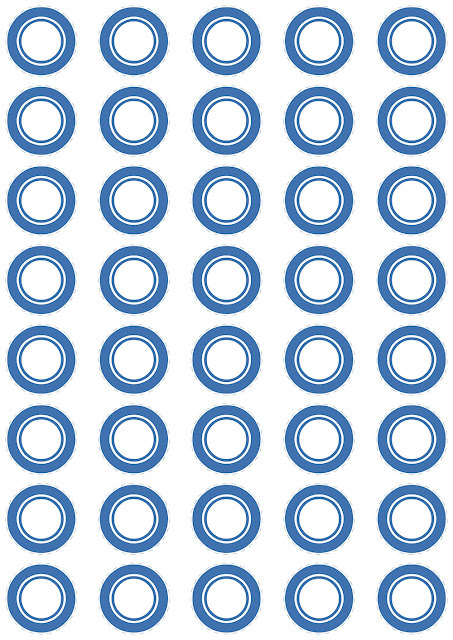 Today I’d like to share the bingo game printables for the same clothes and accessories topic. 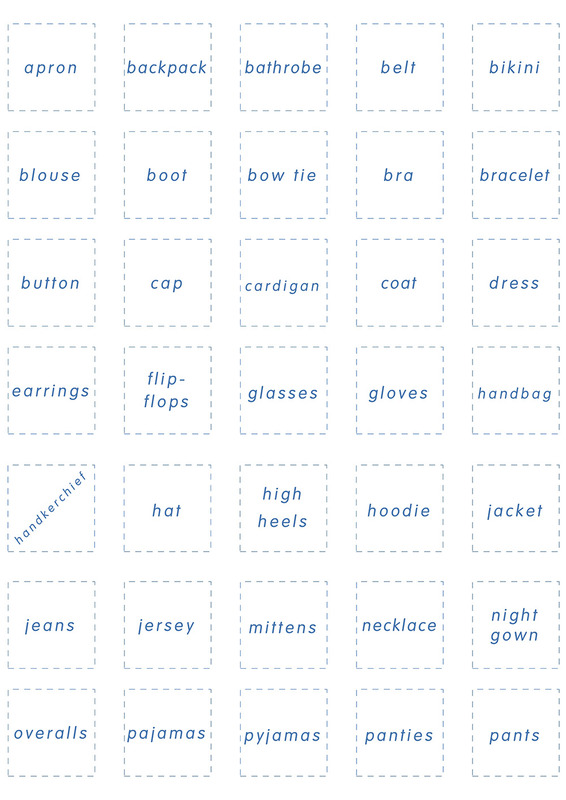 This game can be a great activity to learn some 60 English nouns related to the topic. 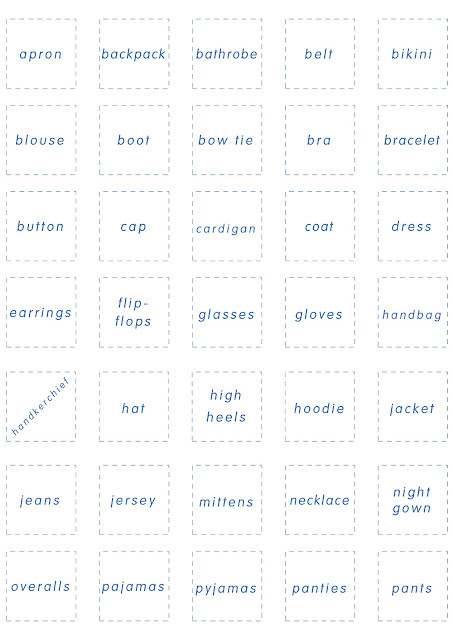 This blog post only shares five free bingo cards. My premium clothes and accessories kit has 15 bingo cards for larger groups of English learners besides other worksheets, flashcards and the dominoes. 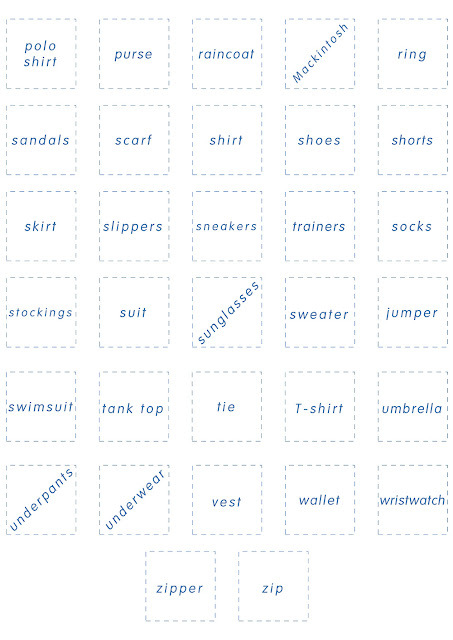 The kit is organized in a number of printer-ready hi-res PDF files storing the image-based teaching materials for ESL and EFL teachers.